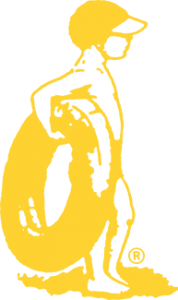 Part of the beauty in vinyl lined swimming pools lies in their strength and versatility. 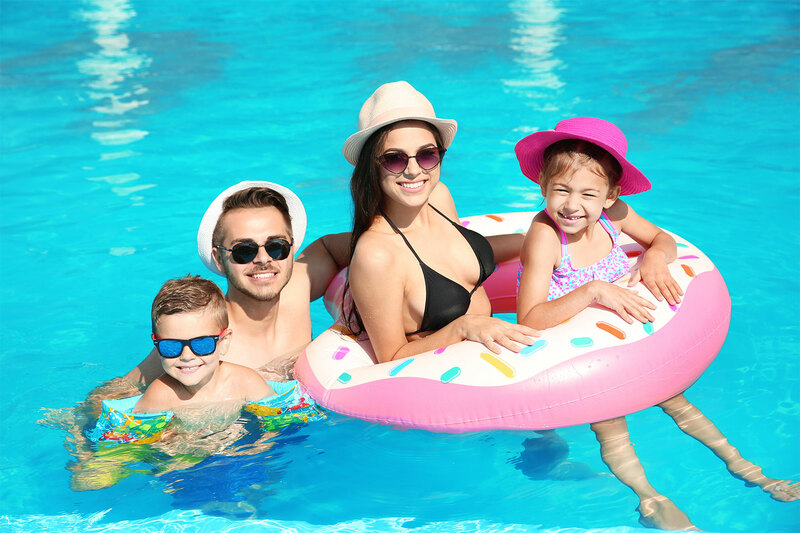 The two basic components of our swimming pools (both onground and inground pools) are the vinyl liner and the all important super structure that gives its strength and form. The three types of wall panels and the Hourglass X-bracing of Sentry inground pools can handle the dual pressure of water within the pool and the earth outside, plus stand up to the extremes of the weather and ground environment. PVC liner track coping is standard but Sentry also offers a Two Piece Encapsulated Coping or Cantilever Coping for pools that will have an Automatic Pool Cover. The Sentry Thermo Guard Wall is polymer powder coated fusion bonded galvanized steel that gives great protection from corrosion. This coverage includes corners, edges and welds for complete protection from chipping, cracking and marring. The strength of steel for true squaring of the wall and polymer coating to prolong the life of our swimming pools. 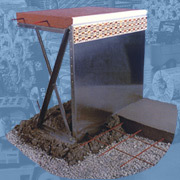 This Sentry wall is primarily used for non-lined concrete bottom pools. Its smooth surface allows for low maintenance while the panel design gives the greatest custom shape for any sized pool. Tile borders can add a beautiful custom look. The stainless steel wall is available for VINYL LINER SWIMMING POOLS as well. Excellent for environments that demand maximum protection. The Sentry Galvanized Wall is the highest quality non-corrosive zinc chromate coated galvanized steel you can buy. 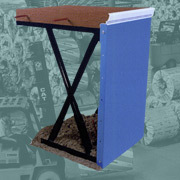 It is a non-flex panel for rigid strength and is one of the more economical walls we offer. Maximum Support with Timely Construction, The Sentry Hourglass Brace contains the geometric classic “X” which is more stable than the “A” shaped braces that are used in many other pools. 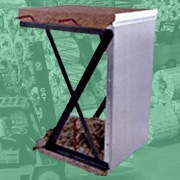 The “X” brace design is used in construction around the world for its stability. It can be seen in the Golden Gate Bridge, Eiffel Tower and the Sears Tower. The Sentry Hourglass Brace will give you the best support for your pool. The brace offers even more in convenience with its strength and support and is now available in adjustable or non-adjustable models.